This week, I discovered The Flourishing Abode thanks to Ashley's tip. 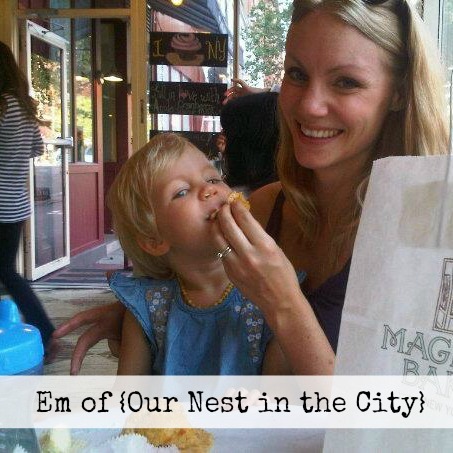 I've loved everything about this blog, especially Which do you prefer - crumbs or feasting? I've been listening to Mumford & Sons' new album Babel on repeat all week! I'm dying to make soft pretzels thanks to Erika's recipe. Is it Saturday yet?! Love great deals on clothes, accessories and home goods ((like me))? Check out Jessica's great blog, Swish & Swoon for great deals she posts throughout the week! She seriously has a gift for finding them! So grab a button and link up your own post! As I've mentioned before, I love the flavors of fall. Over the weekend, we tailgated with some friends before a major league soccer game. I was trying to decide what to bring and then thought of chili. I tried a new to me recipe from Taste of Home magazine that called for sweet potatoes, chorizo and black beans. I ended up substituting the turkey for the chorizo. It was a cool evening, so the chili turned out to be the perfect meal; it even traveled well. We took it out of the crockpot and put it in another bowl. Corn bread was the perfect side (we used Bob's Red Mill mix). I've posted the recipe as we made it, along with the link to the original recipe. In a large skillet, cook ground turkey and onion over medium heat for 8-10 minutes or until turkey is cooked. Transfer meat with slotted spoon to slow cooker. Stir in tomato paste. Add potatoes, green peppers, tomatoes, beans, stock and spices, stir thoroughly. Cover and cook on low 8 hours, or until potatoes are tender. I don't always get around to changing the decor on our mantle, but when I do it gives me a feeling of accomplishment. I've rearranged and cleaned. I've brought order to a place that often collects dust and doesn't get a lot of attention most of the time. We rarely even eat in the dining room where it's located, but having this space where I can add pretty things give me joy. Since autumn is my favorite season, I get downright giddy to have pulled out my faithful box of fall decorations. I've had several of them for 5 years or more, but each year I seem to create something else to add to this treasured collection. It may not amount to as much as my Christmas boxes, but it's filled with reminders of these sweet season. 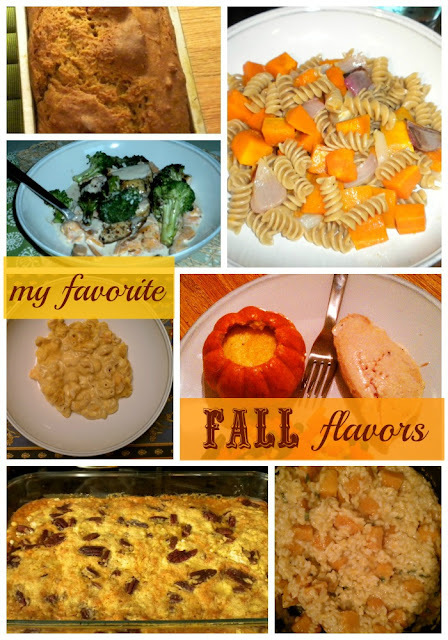 Over the years, I've shared some of my favorite fall recipes on this blog. In the autumn months, I find myself often cooking and baking with one of three ingredients: pumpkin, butternut squash or sweet potato. The downside is that there is always something orange on my plate and that can get a bit blah. Each of these recipes combines a squash or potato with seasonings offering rich flavors. Several can stand alone as a one dish meal (mac 'n cheese, risotto) and another is an excellent side (pumpkin souffle). I'll be sharing more tasty fall recipes as the season continues! What are your favorite flavors to cook and bake with in fall? I said it. I both love and hate Instagram. When the creators of Instagram released it for Android last spring, I was quick to download the app I'd heard my iPhone friends talk about for so long. Of course, I'd seen photos they'd shared on Twitter, but I don't think I really understood how it stands alone as its own form of social media. But I quickly found myself compulsively checking my phone to see what photos others had posted and who had liked the photos I posted. It became another distraction and another thing to check, along with Twitter, Facebook and the many blogs I follow. Last week, I shared my heart at On The Willows, and asked the question Can I bless God via Instagram? As much as I love a pretty photo, I want to capture everyday moments. I'm grateful to have a camera with me nearly always so I can do so (even five years ago it wasn't the norm). Rather than wondering if my photo will "measure up" and get me X number of hearts, I have been making a conscious choice to post photos that bring glory to God, rather than showing off the latest trend or purchase or my ability to make food look good on a plate (all are areas I lack in). If I share a photo of an outfit, it's to inspire others to make much of what they already have, rather than show off. I take photos of people because they are God's creation and I treasure spending time with them. I'm blessed to have some beautiful relationships. + I took a walk through Boston's South End and just love its brick paved sidewalks. With all of that being said, I appreciate following other users who take gorgeous photos. It doesn't mean I don't follow them. Last week, I came across Allison Lehman's guide for users to follow. And if you're new to Instagram, check out this beginners guide. The bottom line is that, just like anything on this earth, it can become an idol and only the Lord knows what's in our hearts even when we take photos and post them. Happy Friday! 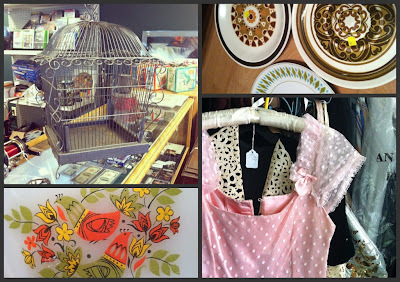 I can't believe it's already time for our second round of Friday Finds & Favorites! This week flew by for me. How about you? From around the blog world + across the internet, I've been inspired and encouraged and I love sharing it! Please join me, in sharing your own post and linking up below! All I ask, is that you grab a button and link back to this page so your readers can find even more inspiration + entertainment. Deal? 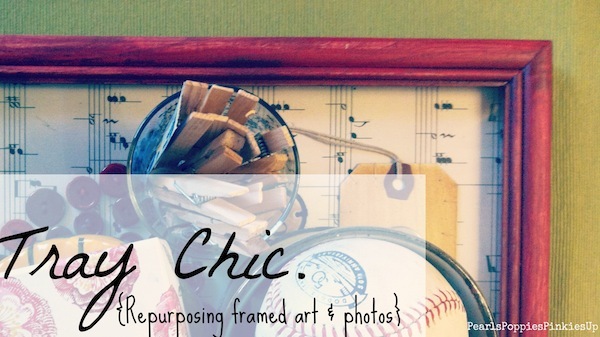 I'm all about repurposing and I love these images of Lauren's recent project. Did you hear about the new Twitter layout that's rolling out? Lauren created a free download for making your very own header/cover template. Check it out! Don't miss out on Beth's Antiquing 101, a helpful guide where she shares all she's learned from her experience. This one is actually for the mister. He's been wanting to re-paint his bike and I think this tutorial will help him out when the time comes (yes, he reads my blog faithfully)! 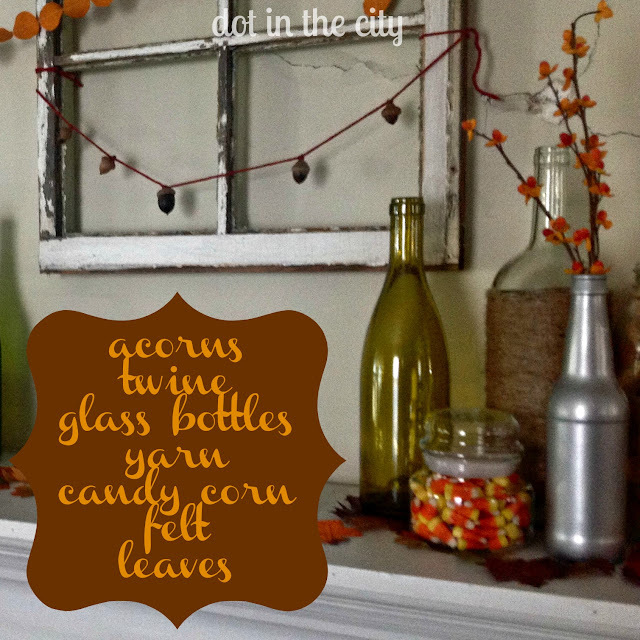 Parents of a toddler will appreciate this autumn printable from Brooke. I'm honestly thinking of printing it and coloring it in myself. There's something so soothing about coloring! As I already mentioned, I love re-using and finding new uses for things. I loved finding 15 re-uses for zipper baggies. 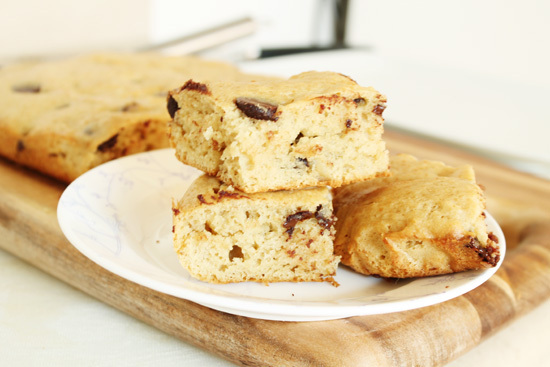 I'm dying to try these low-fat chocolate chip cookie bars from Gina. And for all you internet-junkies, you may want to check out Kam's digital purge week with its great tips! And don't worry, I'm including myself in the internet junky category! Each month, I ask my sponsors a question and it's usually related to community because it's one of the reasons I blog. 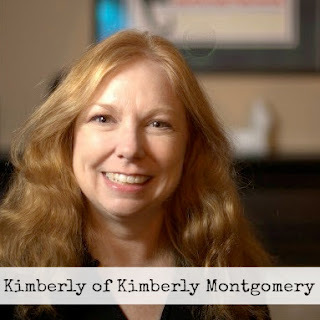 I am excited to introduce this month's lineup to you and for you to hear how the feel a sense of connection to another's blog. And please, check out their blogs or connect with them in one of their links listed! I'd say I feel most connected to another's blog when they share from the heart and show their personality. This is easier on some types of blogs than others, to be sure. If it's a family/mommy blog then there may be more personal story-telling going on on a regular basis whereas if it's a decorating/business/cooking blog it may be harder to crack the surface. But the point still stands that I don't feel connected until that happens. I feel like I know Danielle because she blogs the way I'd imagine she talks. Her choice words and phrases connects her readers. Same goes with Jami who shares so much that is personal in still a classy and lovely way. First of all, do I have some stuff in common with the blogger and would I want to be friends with her in real life? Or, do I totally love the projects she's doing (or does she have great ideas for kid activities)? Do I connect with her on a deeper level? Maybe her stories are especially touching, thought-provoking, funny, inspiring, or real. A really cute blog design is always fun, too! I feel connected to another blog when they are honest with their readers. I don't mean you have to share your entire life story but I feel connected when you share stories that are real. No one is perfect! I feel most connected to someone's blog when I can relate to them! I love when bloggers show their imperfections. So many blogs only showcase the beautiful parts of daily life. I love when somone will take outfit photos and then point out the giant hole in the back of their leggings and make a joke about it. That's life! At least, that's how my life is. and they openly share their hearts with no pretense. Community and connecting with others is something that is innately in each of us. I think that the blogging world is such a great extension of that everyday community. It is an outlet to express ourselves creatively and reach out to others and make an impact, without even knowing the reader on the other side of the screen. Whether your blogging is focused on the everyday beauty of simplicity, home design, empowerment, delicious meals, the wonder of motherhood, faith, the ever changing fashion world, or outdoor adventure and/or more, in each niche there is the opportunity to engage with another whose passion is kindred to your own. There is a way to meet someone through the mere exchanging of a comment, encouragement in the confines of text, or through a simple photograph. 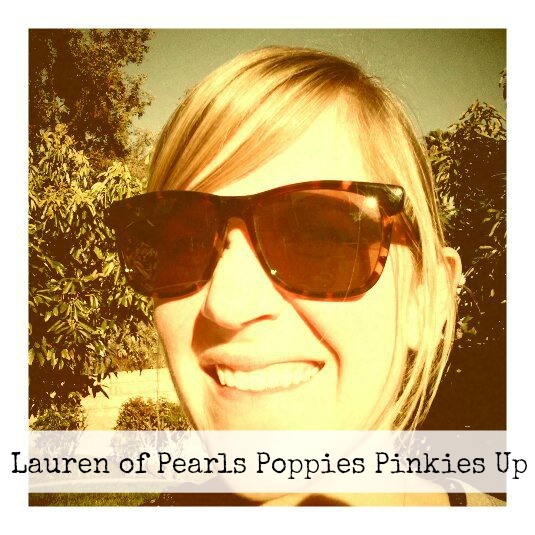 I love how PearlsPoppiesPinkiesUp has connected me with a handful of thought provoking, intentional, sincere, and whole minded women that I would have otherwise never met. With that, what makes me feel most connected is when I actually experience just that, the real character of the person behind the blog. The sincerity, intentionality, and realness of that the blogger. Just as in the non-blogging world, I feel most connected to another when I can relate and there is a two way relationship in a sense. They are engaged with their readers and quality, not quantity, is a priority. I would say that my 'love language' is quality time spent with others, so for me, that "quality" in a blog is important to me. This question is a perfect one to answer here on Dot in the City, because I feel like Beth does just that. She really shows that sincerity for her readers and you can see her desire to connect others in a quality fashion. And when it really comes down to it, if we strip away that desire to blog and post and post some more, community and connecting is at the heart of why we blog, is it not? There are 3 things that make me feel connected with other blogs. #1- Being a follower and reading the posts-whether by email or GFC. #2- Commenting on blogs. Once you make a habit of commenting on your regular reads, you and the author begin to form a relationship. I have made several good friends through this. #3- Sponsoring the blog. It is investing tangibly in your friendship and in people and topics that you support. It allows the blogger to keep blogging and it gives you a bit of facial recognition too. Win-win. I feel connected to someone's blog when I get the feeling I am connecting to the person behind the blog. When I read their posts I think, "Yeah, we would be friends in real life". I love it when photographs are included...it helps make the conversation feel even more immediate. When it comes to being able to connect to another persons blog it's important that you actually see the real person behind it. The 25 things you didn't know about me post are my favorite since they convey who a person really is. Initially what attracts me to a blog is the design. I love bright colors and lots of pictures. I guess you could say I am a bit nosy, hehe. 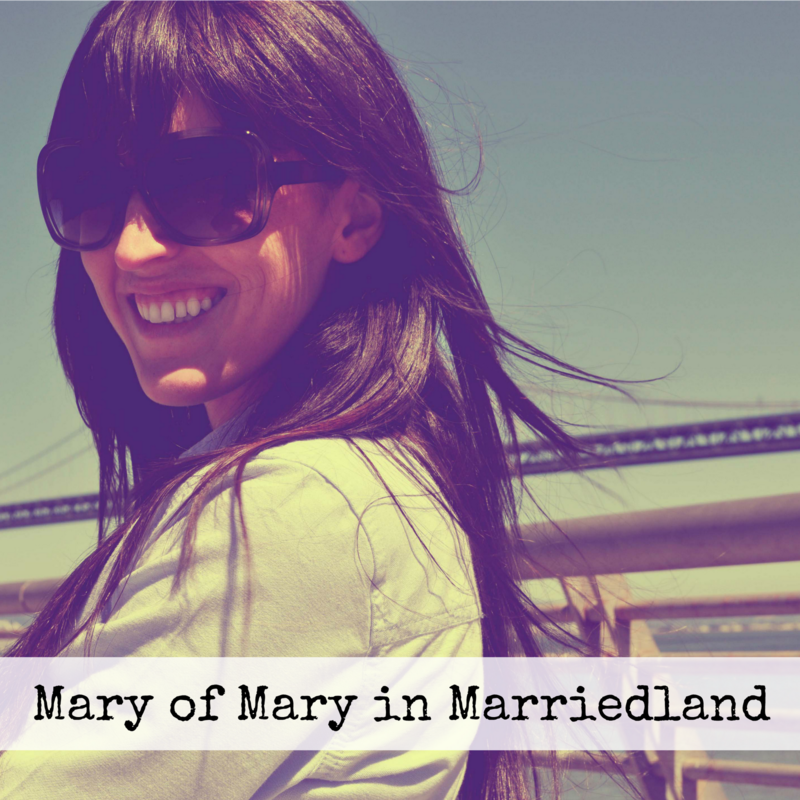 I like to read blogs where people share bits and pieces of their lives. I always seem to find something in common, whether it is both of us being obsessed with Pumpkin Spice Lattes or fashion. 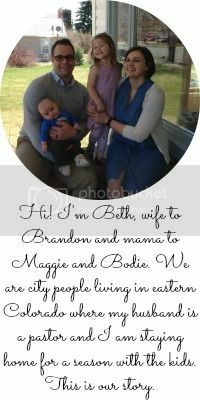 I also feel connected to bloggers who are sharing about more than just how wonderful and perfect their life is. When someone opens up and shares from their heart I feel 100% connected. Isn't this a great lineup of bloggers? 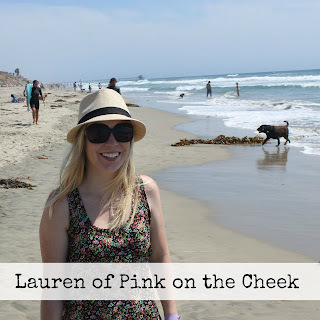 I loved reading what they all had to say about connecting with other bloggers, didn't you?! If you want more info on sponsorship, check out the ad spots and snag your very own for October. Use code 'dotreader' for 50% off ALL ad spots through Sunday! Now it's your turn to chime in! Tell me, what makes you feel connected to another's blog? I couldn't resist creating a fall wishlist of pretty clothes + accessories. Boots -always on my must-have for fall list. I currently have pointy toed riding boots, but love the rounded toe on these. Infinity scarf -I'm loving that stripes and colors in this one; it would bring a different vibe to my usual look. Mustard Dress -perfect for layering under/over, as the weather is changing. Peplum top -I've been watching this craze from afar, but I've decided I need to try it for myself. Polka Dot Cardigan -Grey goes with everything and I've always wanted a polka dot cardi! Bangles -I've been wearing more yellow gold with my usual silver/white gold and these would be the perfect addition (bonus, they're made of re-purposed metals). Lace Dress with Pleats -I'm drawn to the lace trend and have yet to purchase any, but this dress combines pleats with the lace top and a fun paprika color for fall. Cross-body bag -I hate running out of room in my purse! What's on your fall list of clothing + accessories to crave? P.S. I'm hanging out at On The Willows today! Silly, but true. I'd actually settle for test driving one! Why is it, I'm so intrigued the Brits (as I've mentioned here and here)? I've been dreaming of finding season 3 of Downtown Abbey online, but I think I'll just have to wait until January when it airs in the US. Last night, we happened upon Wild Target via Netflix. It's the story of an assassin (Bill Nighy) who ends up protecting his target (Emily Blunt). Next time, you're in the mood for a British comedy, check it out. That's enough of my British recommendations for one day. I have a treat for you now. In need of some thrifting tips? Stay calm and read on. Hello Dot in the City readers! 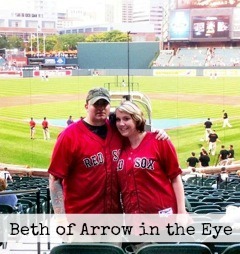 Beth has graciously offered to let me do my very first guest post today! I am incredibly excited about this and especially about the topic. Thrifting is one of my favorite hobbies. I am the Foursquare mayor of every Goodwill within a forty mile radius of my house (no joke!). After countless stops into stores to browse after work and almost every weekend dedicated to scouting out the best shops in the state, I've pretty much got the process down to a science. So often, people are shocked and ask why they never find great things like I do - especially since many of them shop at the same stores as me. Here are some things I’ve learned along the way – and some things I wish I had figured out long before I did. Shop often. You can't pop into your local Goodwill once a month and expect to hit a goldmine of vintage dresses and Pyrex lined shelves! Of course, luck could strike, but the majority of shoppers find their treasures with time. Many trips will end with empty hands. Make a weekend of it, stop in after work, go as often as you can manage! Really look. Crouch down and peek at those bottom shelves, sort through stacks of ugly dishes, open up cardboard boxes tucked on the top shelf. Extra tip - browse through the "No Thanks" rack by the dressing rooms. Employees haven’t sorted those back to their original spots yet and someone could have tried on and then passed on something great. skirt is really a children’s XL. Be aware of sales. Thrift shops will often have sales to get merchandise moving. Keep an eye out for half off barb colors or discounts on certain store sections or holiday items. Goodwill and Savers offer discount cards for a percentage off each purchase or on special days. These cards will be completely worth it if you are committed to thrift shopping! Dress like a pro. Many thrift stores do not offer dressing rooms to try things on. Even worse, most do not offer a return policy. If they do have dressing rooms, you deal with lines. If you're like me, you will fill your cart to the brim - and who really wants to try on 20 tops inside a cramped dressing room with bad lighting? Dress so that you can easily test things out right on the floor. Leggings, tank tops, long button up sweaters, and slip on shoes are all excellent things to wear for an easy, and public, fitting. Don't go in with a list. Of course, everyone has their dream thrift finds. (Mine: vintage sheets! I have had zero luck!) 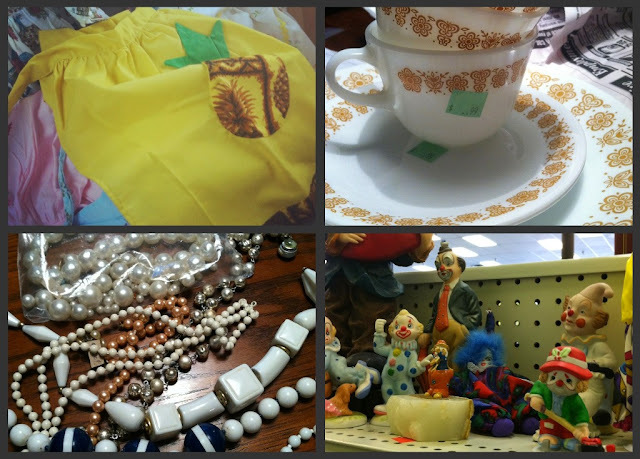 Thrifting is like treasure hunting, you just don't know what you will find. Try not to be discouraged. Recently, I found 7 vintage aprons stuffed into a basket in the lingerie section. 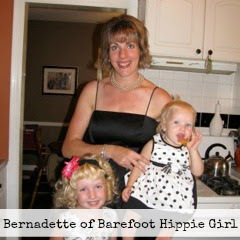 I certainly did not want any stained white bras but the aprons were an awesomely unexpected surprise! Look for quality. Yes, that designer dress is gorgeous. But, it's stained, torn, and three sizes too big. You do not have to buy it just because you found Coach or Michael Kors at a thrift shop. It's cool, but you will never wear it. Snap a photo on your phone for bragging rights and move on. On the other hand, don't be afraid to ask for a discount if you see a stain or tear that you think you can fix. I once found a gold Betsey Johnson dress with a ripped seam and when I asked if I could have it for less, the woman gave it to me for free! When in doubt, alter. It goes without saying that not every piece is going to fit like it was tailored to your body. If you are in love with the print on a dress but it's too long for your tastes, consider having it altered! This is especially true when shopping for vintage. 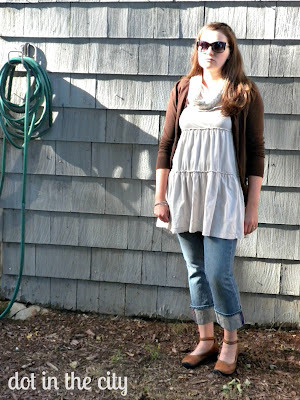 Clothing styles have changed over the years and dresses down to your shins are not always flattering. A simple alter and you could have the perfect mini dress! Same goes for non-clothing items. Look at every piece with a fresh perspective. What do you get if you paint that hideous wooden cat sculpture with glossy black paint? A whole new world. What are some of your favorite thrifted finds? I would love to hear! Bragging is, after all, half the fun! 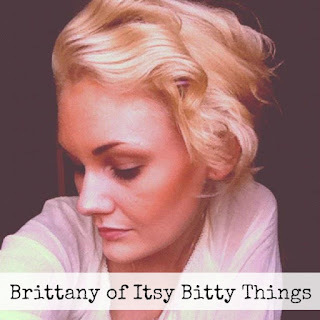 Connect with Brittany on her blog, Twitter or Pinterest. I'm not sure if I should admit this, but I am the kind of gal who uses the recipe on the box whenever I make lasagna or cookies. When I was making cookies for church this weekend, I opened a new thing of oatmeal and followed its recipe. Having made cookies just a week before following the recipe on the Quaker package, I quickly realized Market Basket's recipe was different, but I went with it. I have to say, they were better oatmeal cookies than the Quaker container suggested, so I am excited to share it with you! Combine oats, flour, baking soda, baking powder and salt, set aside. Beat sugars, butter and shortening until creamy. Add eggs, milk and vanilla; mix well. Add one cup at a time, oat/flour mixture. Stir in chips and raisins. Drop by rounded spoonful on to cookie sheet. Let stand 5 minutes on cookie sheet before moving to rack to cool. They go perfectly with a glass of milk! What's your favorite thing you've baked lately? Happy Friday! Are you as excited as I am for Friday?! Today, begins my very fist time hosting Friday Finds & Favorites (once hosted by Erika)! I hope you are ready to link up. Each Friday, this will be your opportunity to share other blog posts you've loved this past week, funny things you've come across online or even those that touched your heart! Excited for a change in seasons? Have you considered blogging plans for this fall too? Check out Kam's blogging resources for a fresh fall. Ever since the World Market Twitter Party on Tuesday night, I've been thinking about all the pumpkin flavored goodies you can find at World Market. Have you caught Molly's money series? If not, you should totally check it out! An important reminder on hospitality outside of Pinterest. 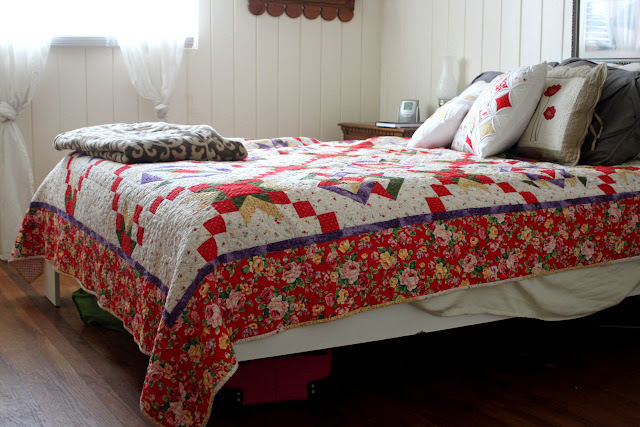 I was seriously impressed with Erika's ambition to create her own edition of While You Were Out and rip up the carpet in her bedroom while her hubby was out of town! Need help creating your own blog button? Lauren created a helpful tutorial for you! Go ahead! Grab a button and link up your post filled with all the finds + favorites you've found on the internet in the past week or so and feel free to spread the word! I can't wait to see what your finds & favorites of the week are! 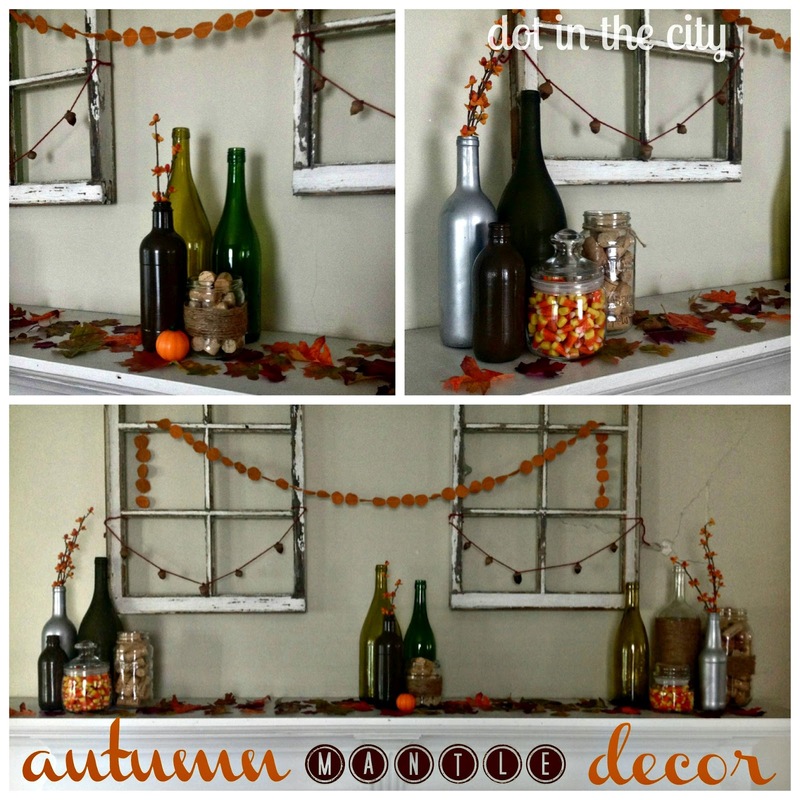 It's no secret, I am loving fall! 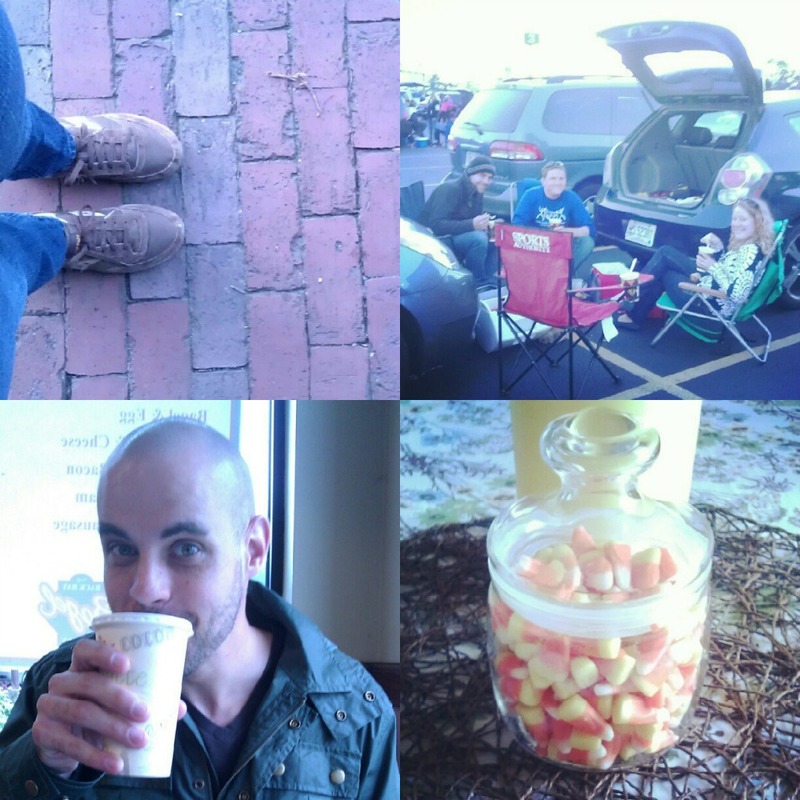 On Sunday, I enjoyed my first pumpkin spice latte of the season (PSL). Anyway, the point is not that I like to dress like a Starbucks cup! 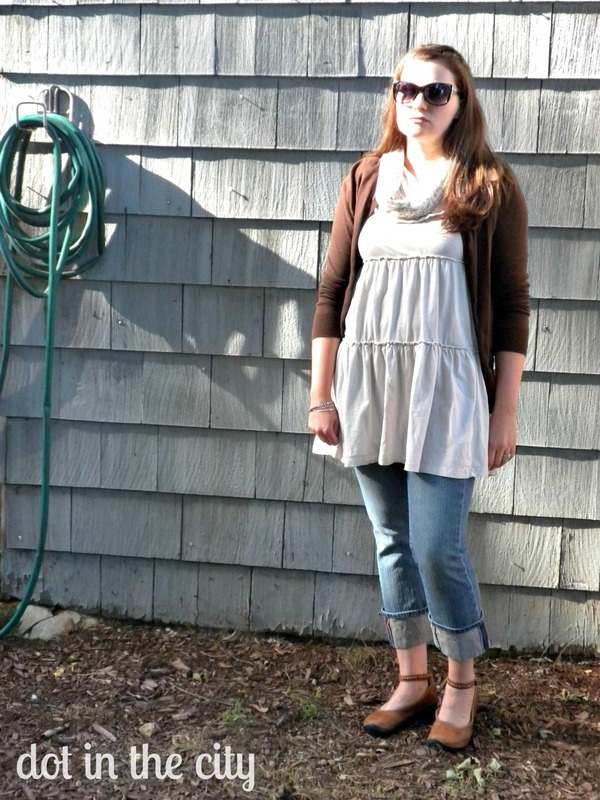 Today, I'm talking about the transitional fall pieces I'm loving. I'm probably biased because every time I take those What Season Are You? tests I come up as fall. But let's embrace it. What are you wearing lately? Last week we had multiple days of rain. It was sticky and humid and I have been longing for cooler and dryer weather. Thankfully, this week we've had lots of sun and cooler temps! It's starting to feel like fall and I love it! Last night, it even got into the 40s and I love waking up to crisp air and sun. 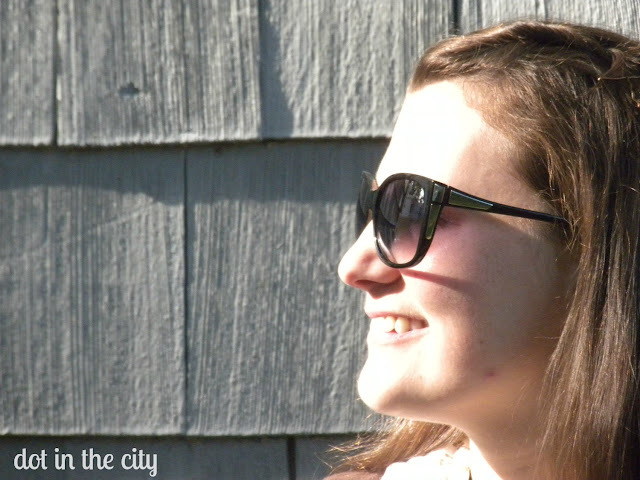 Speaking of sun, I've been wanting to show off these sunglasses because I was asked by Firmoo to review a pair of glasses. I don't wear prescription eyeglasses, so I opted for sunglasses. I selected my sunglasses from their online store and eagerly awaited their arrival. We had several days of rain from the time they arrived, so by the time I finally got to wear them, I was very excited. I have been on the hunt for a comfortable pair of sunglasses for quite some time and it's a top priority for me when it comes to choosing a good pair. I often get headaches because they pinch behind my ears when I wear them for more than an hour. But after wearing this pair for 6 hours, my head didn't hurt the slightest. + They're comfy! I've had problems with sunglasses giving me headaches in the past. + The fit! They don't fall off my face when I lean forward, making me wish I had one of those straps. + Comfy shoes. I'm not quite ready for boots, so wearing shoes instead of peep toed flats is a nice change. + Layers. 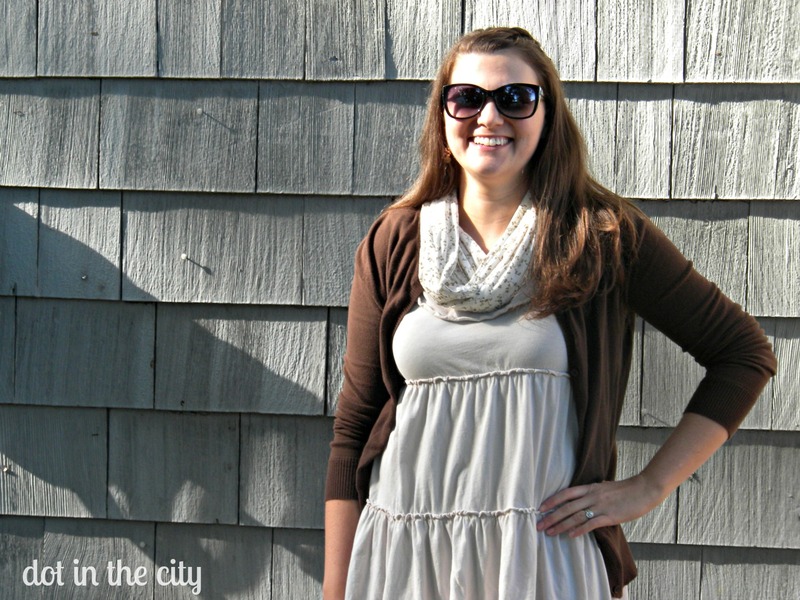 I love adding cardigans and scarves to my outfits as it cools off. Did you know? 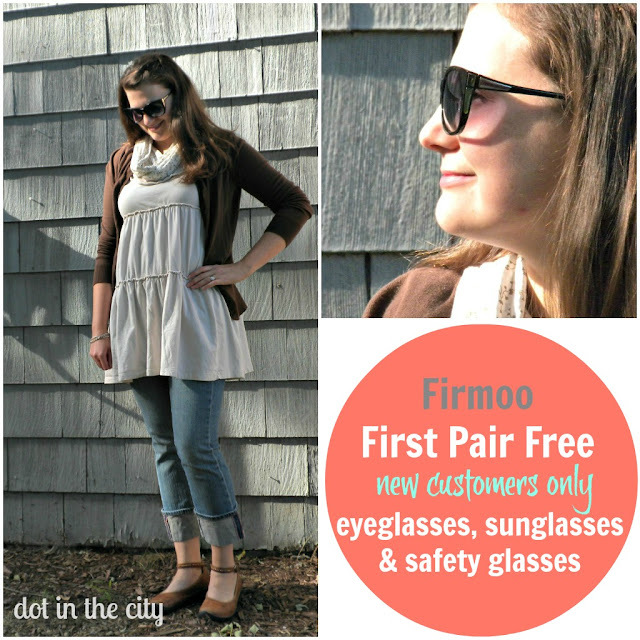 Firmoo has a first-time buyer program that lets you get a FREE pair of glasses and only pay shipping. Check it out and get your own pair today! All opinions are my own. Firmoo supplied the glasses to me free of charge in exchange for this review. 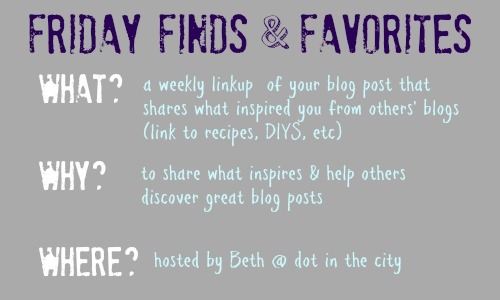 And don't forget, to get your Friday Finds & Favorites posts ready for this Friday!